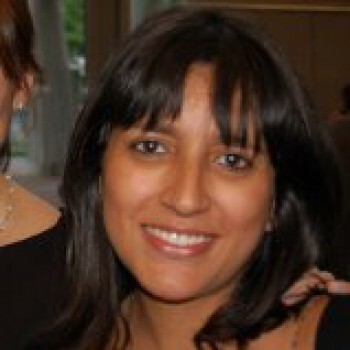 Angela Rodriguez (28) works for the Netherlands Institute for Multiparty Democracy (NIMD) in Colombia. NIMD is a democracy assistance organization focused at strengthening political parties in developing democracies. Prior to joining NIMD in 2014, Angela worked for several other international democracy assistance organizations, including the National Democratic Institute (NDI) and the United Nations Development Programme (UNDP). Angela’s main motivation in her work is contributing to a more inclusive and transparent political system in Colombia. She is especially passionate about promoting the political participation of underrepresented groups such as women, youth and ethnic communities. She is very glad to see that the peace talks between the government and FARC-EP have led to consensus on broadening the right to political participation. Angela and her team at NIMD Colombia are able to actively contribute to the peace process through various activities. All activities are aimed at promoting an open and inclusive political system that recognizes diversity and more effectively channels the interests of the public. An example is the draft of a multiparty proposal on the law of opposition which was used as an input in the peace negotiations. The organization also assists social movements and former armed groups who aim to become political parties once the peace agreements implementation starts. The peace talks are an important first step in ending the conflict in Colombia. But according to Angela it is also important to think about the next steps and, hopefully, the implementation of the agreement. Colombia needs to reform its democratic institutions which will have to become more inclusive. Political parties will need to be more representative and disciplined. This means that it is necessary to invest in the capacities of political parties to organize themselves and to formulate policies. They will need to listen to the needs of the people and the visions of other parties. Her years of experience have taught Angela that these processes take time and that you really have to work at it. In her opinion international organizations such as NIMD, NDI and UNDP can play an important role in bringing parties together and supporting them to take up their role in society.